This moose antler floor lamp is a rustic touch for your home or cabin. 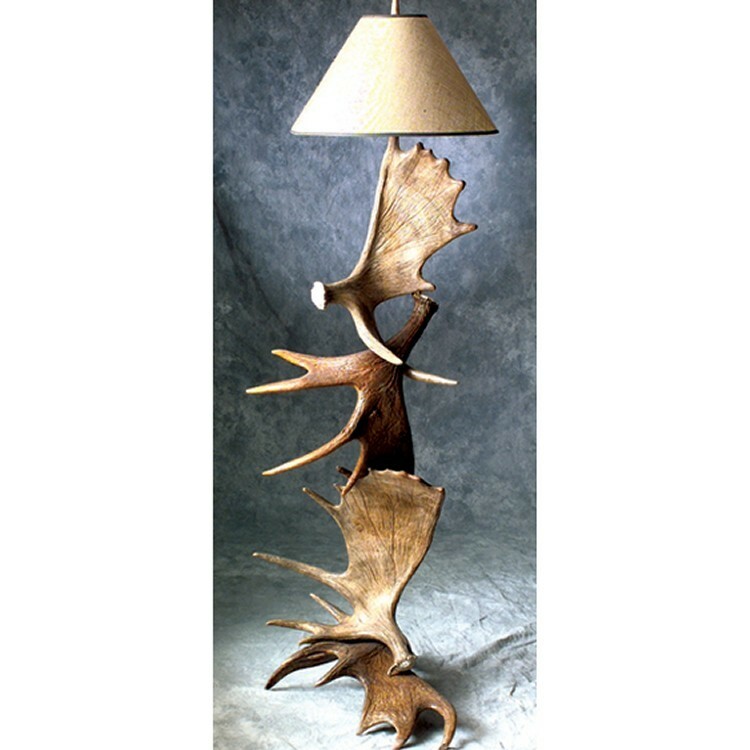 This moose antler floor lamp stand approximately 72" tall. Uses one 75 watt regular base light bulb. Shade is not included. Ships via truck. Lamp is internally wired and all components are UL approved.